Missing is an exhibition by award winning multimedia artist, Tianli Zu. It consists of large scale paper-cuts, paintings, site-specific installations and cinematic projection to depict absence, power and transcendence. It is an intriguing exploration of shadow matters, reflecting memory, time and space within the Margaret Whitlam Galleries, Female Orphan School, Western Sydney University, Parramatta Campus. 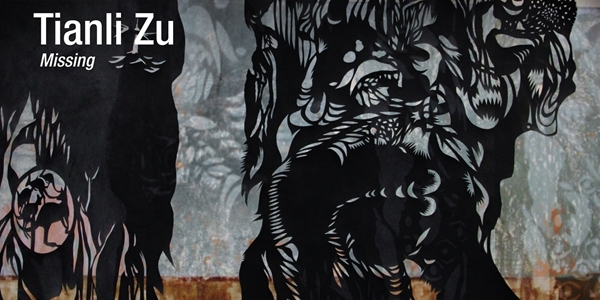 Zu invites viewers to experience all aspects of the concept of "missing": physical, psychological and metaphorical. To be opened by Professor Barney Glover FTSE, Vice-Chancellor and President, Western Sydney University. FREE. Registration Essential. Please RSVP HERE (opens in a new window) by 11 October, 2017. Exhibition continues until Friday 19 January 2018. Curated by Western Sydney University Art Curator Monica McMahon. This exhibition is supported by the Australia-China Institute for Arts and Culture, and the Whitlam Institute, Western Sydney University. For more information, please visit: virtualtours.westernsydney.edu.au (opens in a new window). Australian multimedia artist Tianli Zu was born in Beijing, China. At the age of 15, she studied at the Fine Arts School Affiliated to China Central Academy of Fine Arts, and obtained a BA at China Central Academy of Fine Arts. In 1988, Zu resided in Sydney, Australia. In 2011, she gained an MFA from the Sydney College of the Arts, University of Sydney. In 2014, Zu received a Doctoral degree from the University of Sydney. In 1988, her winning dragon art was used as the Year of the Dragon image in the twelve part series of zodiac stamps issued by the Chinese Ministry of Posts and Telecommunications. In 2015, Zu was an Archibald finalist, painting the former director of the Art Gallery of New South Wales, Edmund Capon.In February, her giant OX lantern was exhibited in Martin Place for the City of Sydney Chinese New Year Festival. In March, her 3-series light-projection art, manipulating Qing Dynasty imagery with her signature cutouts, were projected on the National Library of Australia. In 2016, she won the Holding Redlich People's Choice Award at the Salon des Refusés for her portrait of Senator Penny Wong, "The Senator and Ma". She was also a finalist in the Mosman Art Prize, the Paddington Art Prize and the Portia Geach Memorial Portrait Prize. In 2017, Zu's Pentatonic Roosters light sculptures were exhibited in the heart of Chinatown, Dixon Street for the City of Sydney Chinese New Year Festival. She was a finalist for the Salon des Refusés for her portrait of Head packer of Art Gallery of NSW, Steve Peters, the North Sydney Art Prize, and the Hazelhurst Art on Paper Award. Dr Tianli Zu creates large-scale papercuts by hand and cinematic animation projections that weave through history and the present, using shadow and light in powerful dynamic installations. Her work captures experiences of places and cultures through intuitive and metaphysical means. She employs art to engage and comment on complex social phenomena, culturally, philosophically and psychologically. For more information, please visit: www.tianlizu.com (opens in a new window).